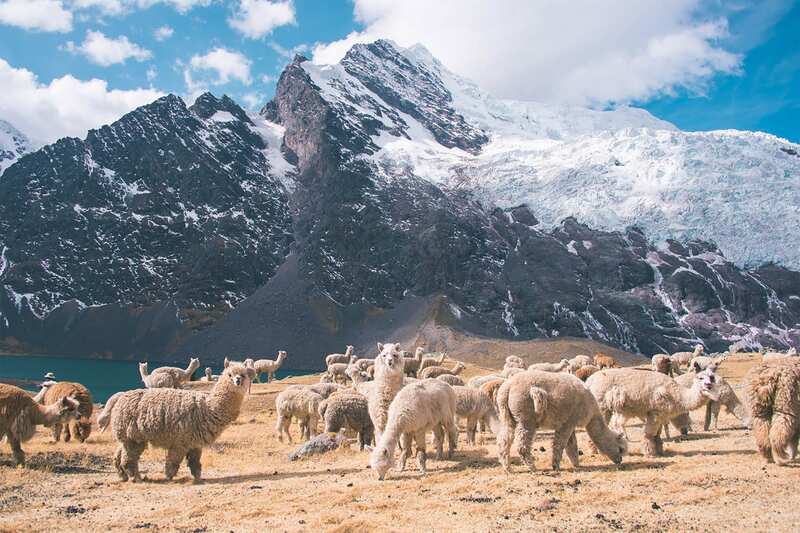 The Ausangate trek is considered the crown jewel of the Andes. 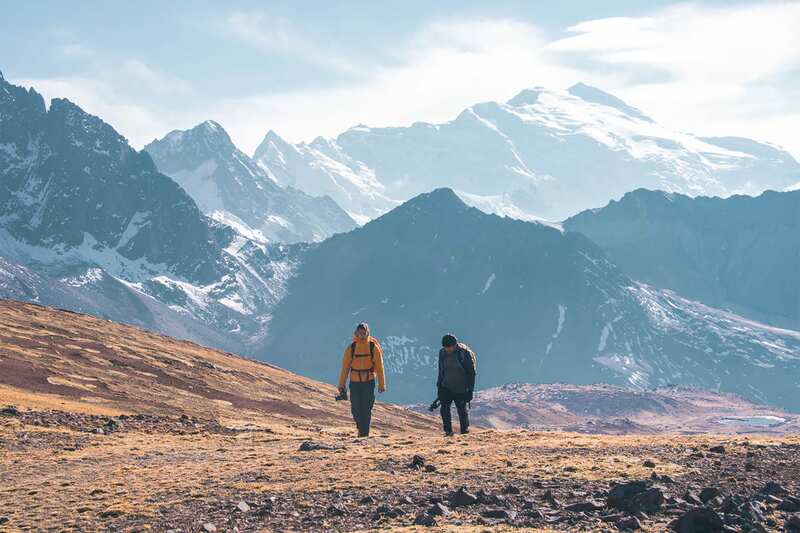 This isn't a trek for all, but those who want to get off the beaten path will find this an experience of a lifetime. 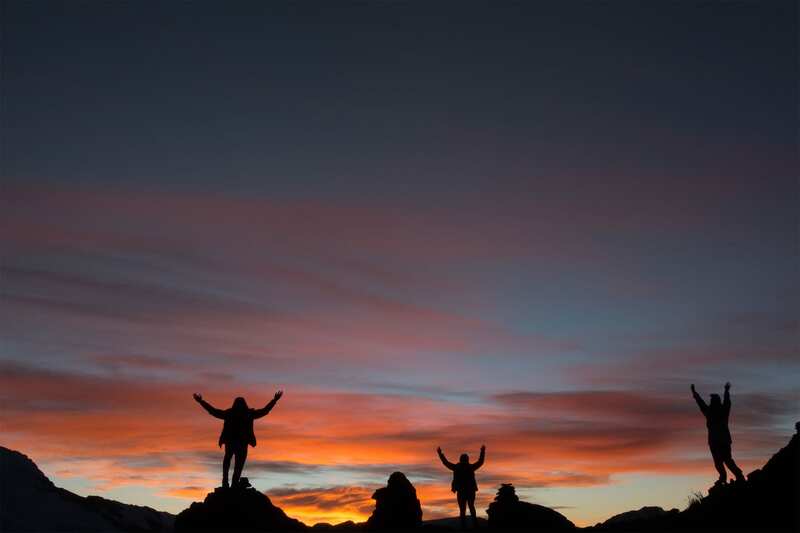 You will cross 4 mountain passes, experience diverse landscapes, enter into remote Andean culture and see an unforgettable night sky. 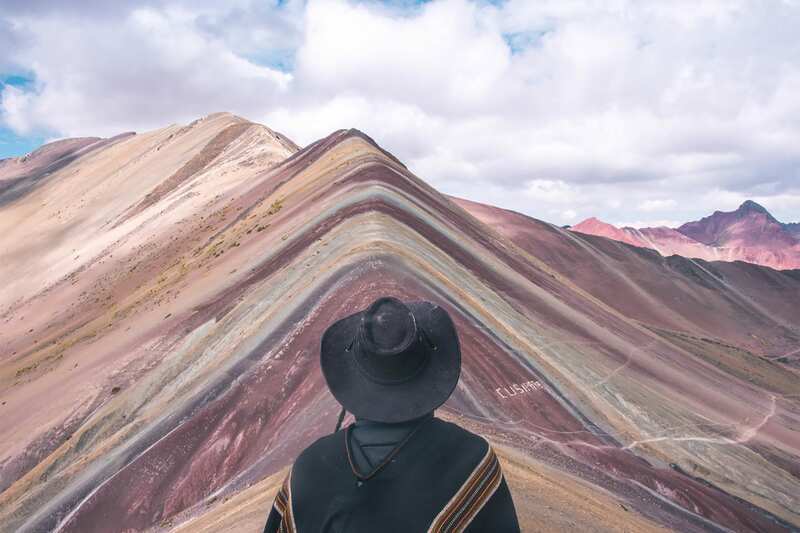 And of course you will experience the breathtaking Rainbow Mountain and Red Mountain valleys- some of the most beautiful, natural landscapes in all of South America and the world. 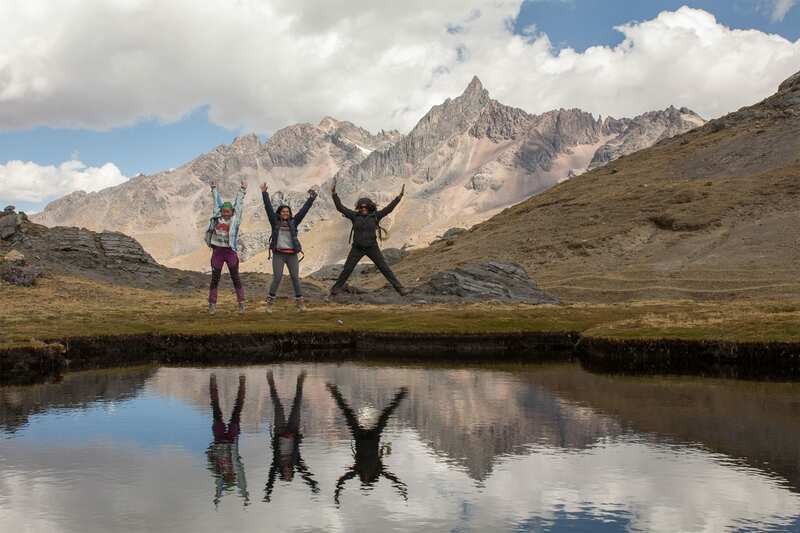 Come explore the Andes with us! 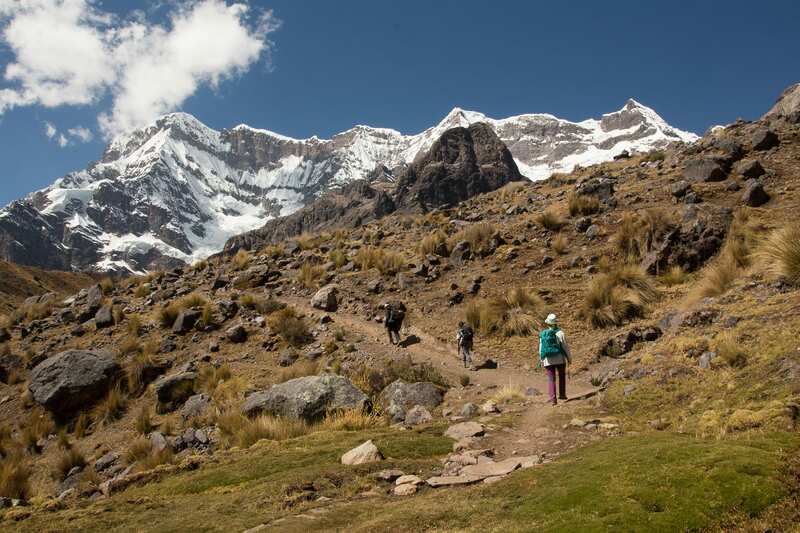 We leave Cusco around 6am by private van to the start of our trek, at the base of the impressive Ausangate Mountain. For Tinqui we hike through	local villages until we reach the small settlement of Upis and with an opportunity to take a dip in the local hot springs (10 soles). Here camp will already be set, and you will have the chance to enjoy the picturesque mountain backdrop as the sun sets on the mountains. Our chef will prepare lunch and dinner. 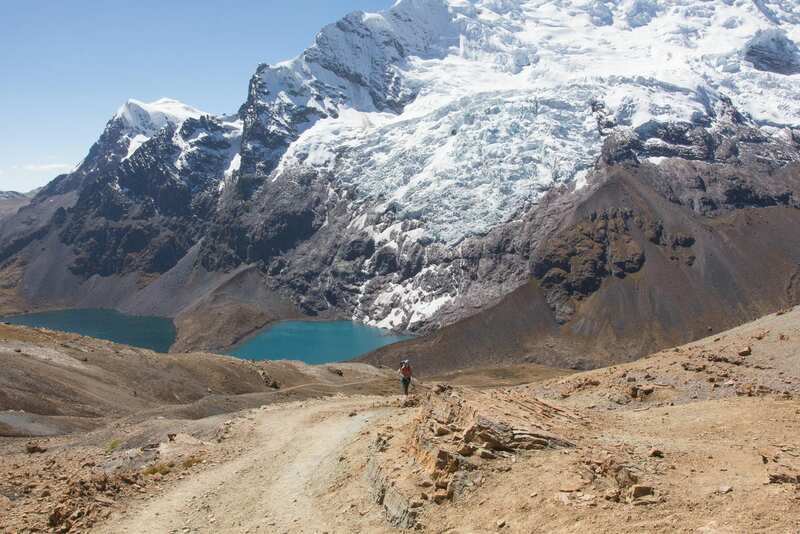 The morning starts with breakfast and a hike up Arapa Pass (4950m) before a slight decent to our lunch spot. 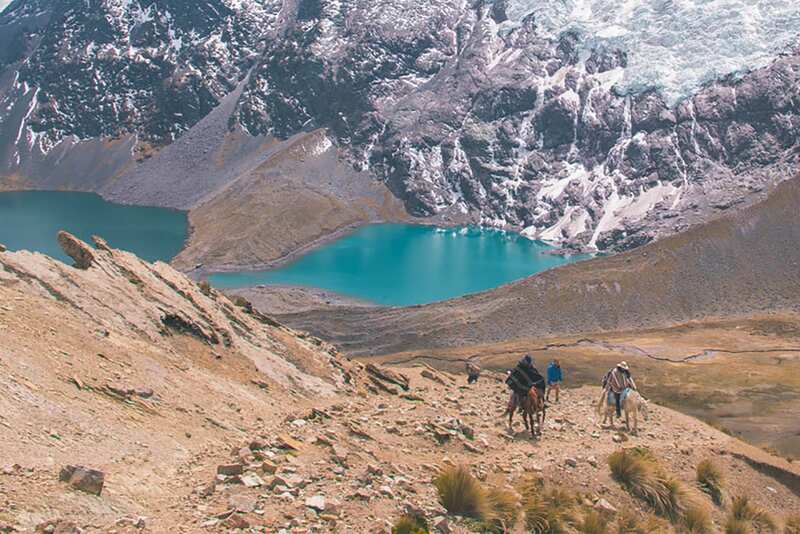 After lunch we continue on to Lake Pucacocha - A deep turquoise lake and a perfect stop for a break. 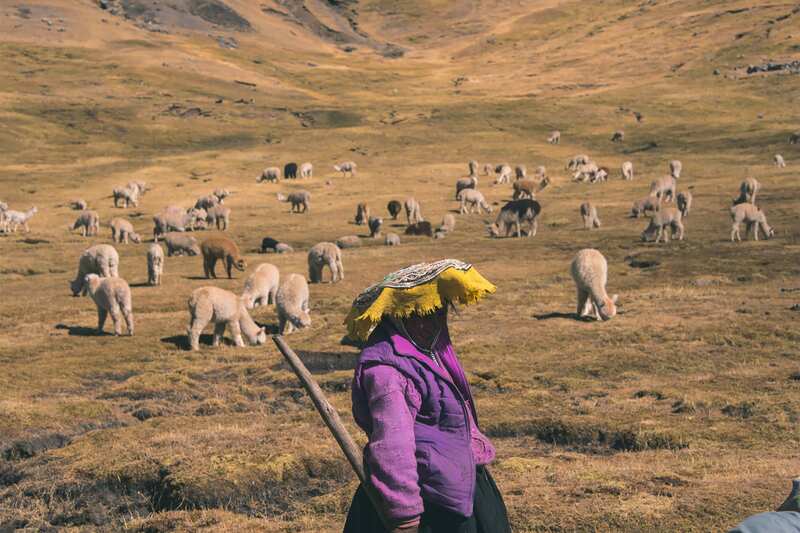 Along the way you will see local herders and llamas, and your expert guide will explain the history of the locals and the landscape along the way. Our campsite tonight is located just below the towering Ausangate Mountain. At our exclusive camp features thatch shelters for our tents, for added protection from the elements. 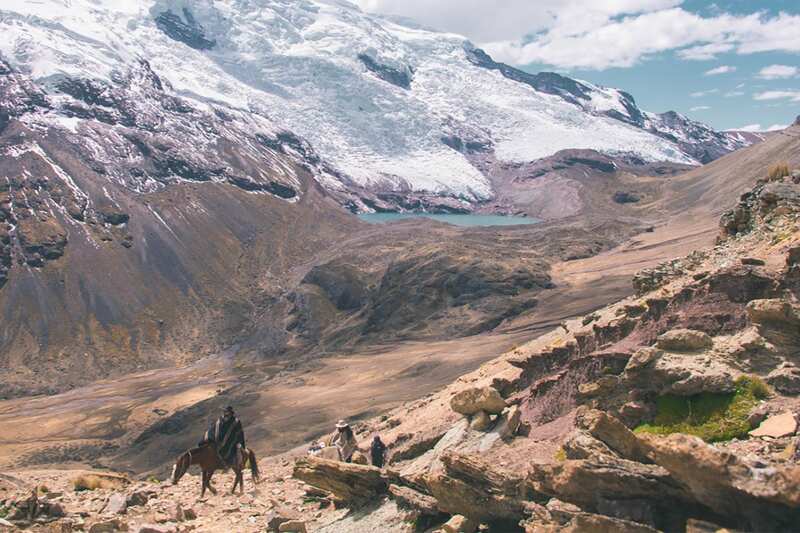 Your evening will be enjoyed with dinner in our Mountain Refugio, here you will be surrounded by mountain views and incredible hanging glaciers. Today is difficult but short. We start with a steep ascent up Puncacocha Pass. 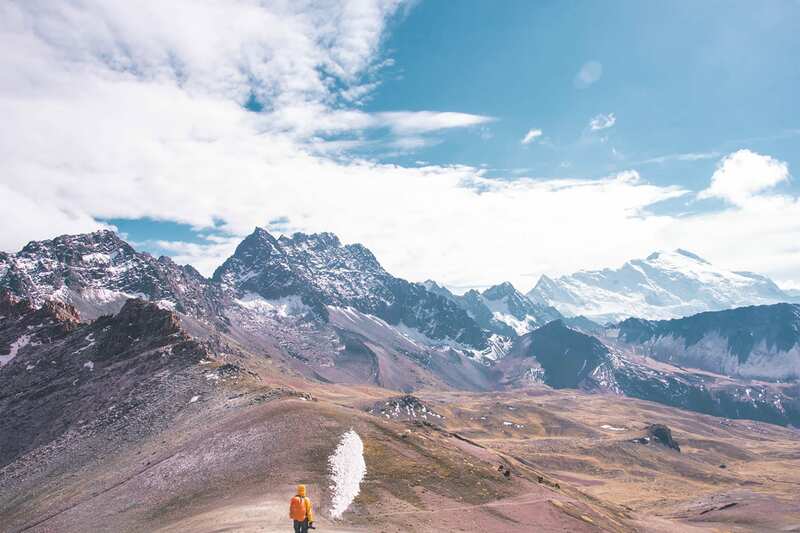 This pass boasts incredible views and as you reach the top you are rewarded with 360 views of one of the most incredible landscapes on earth. 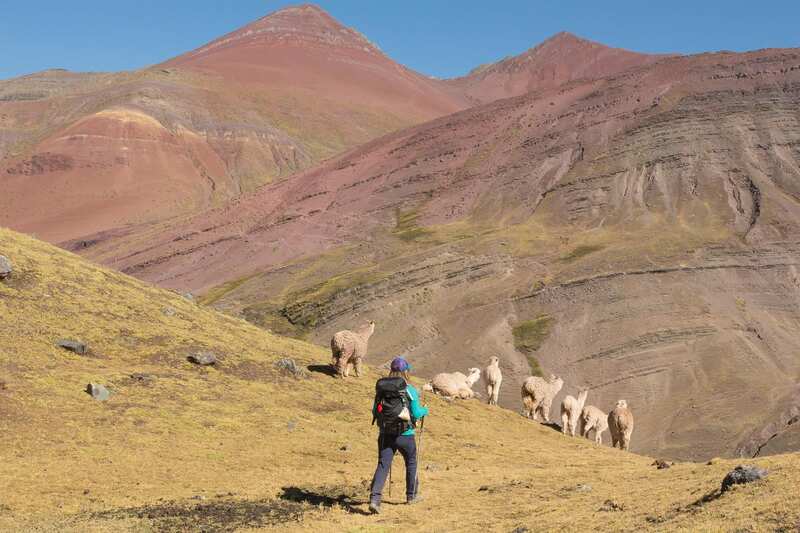 After conquering the pass we continue through a vivid green valley full of alpacas and llamas, if your lucky you might catch a glimpse of a Andean Condor or the rare vicuña. 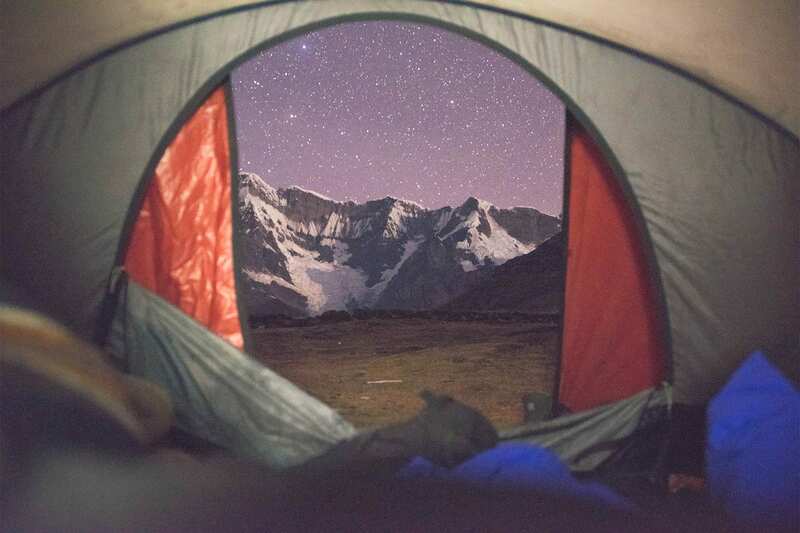 As we approach our destination for the night we will have camp set up for you to enjoy your surroundings and relax. 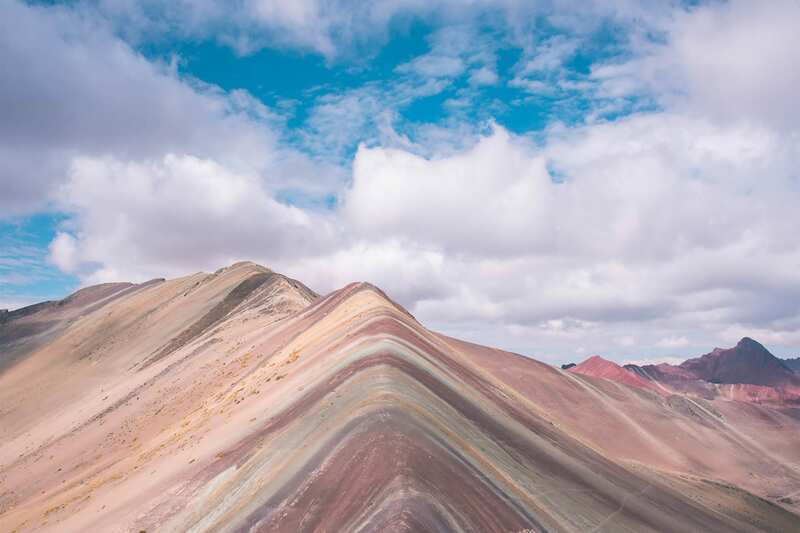 On this morning our goal is to wake up early and leave camp by 5am, this allows us to approach and experience the Rainbow Mountain in all of its glory with solitude. So, after a hot breakfast, and some coca tea we start with the uphill climb - Ananta Pass. 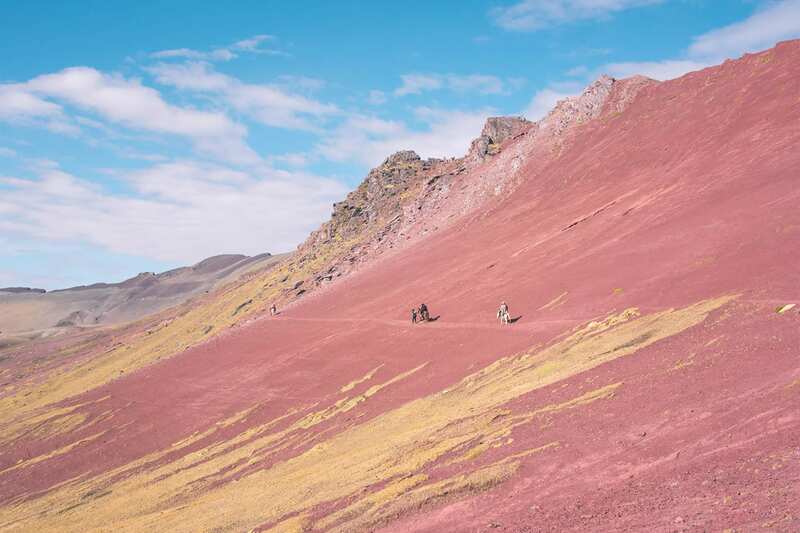 From here you will see the beautiful Rainbow Mountain in the distance. 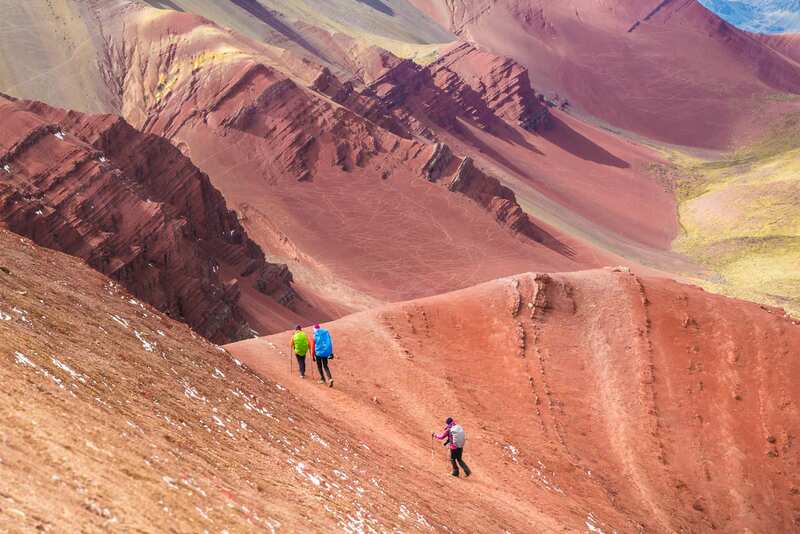 We descend to a large valley and continue walking a Peruvian flat until you are presented with the final climb to the Rainbow Mountain. 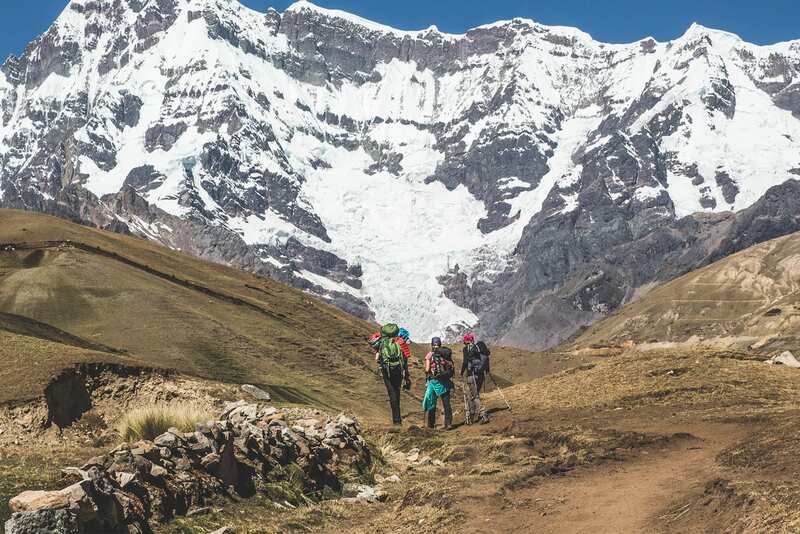 From here we head downhill to the village of Qesuno where we will have lunch, and pack up the van before heading back to Cusco with a drop off at your hotel. 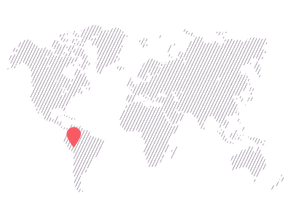 We typically arrive back in Cusco around 6PM. Horseback is available to hire through local horsemen. Horses are not the property of FlashpackerConnect. 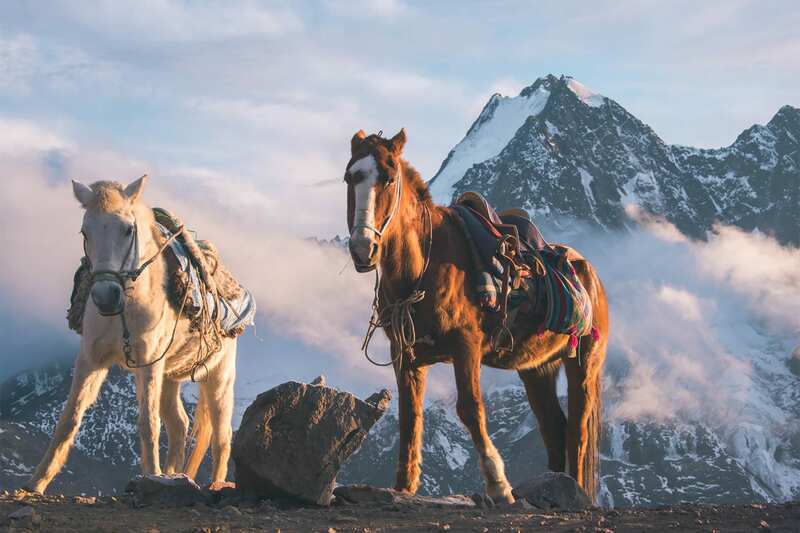 If you choose to hire a horse please note horseman do not speak English nor do they always stick with the group of hikers and the guide as the horses walk faster than the hikers. Should you choose to hire a horse you assume all liability and ride at your own risk. FlashpackerConnect is not responsible for any accidents that occur from riding a horse.